This contest is now over. The winner is Laura Van Ravenswaay – entry #2205. We appreciate all who entered. Come back soon for more great newborn photography tips and help. And future contests too. 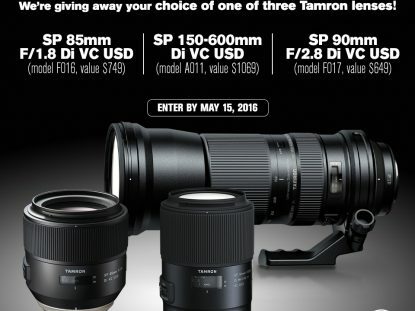 This is the ultimate giveaway for newborn photographers! Win more than $1,200 worth of hats, wraps, accessories, an Ottoman Posing Beanbag, and a backdrop and flooring. Whether you are a professional photographer or just getting starting in your journey to photograph newborns and babies, this prize package has the perfect assortment of goodies. And best yet, entering is easy. Just answer one of two questions we have for you – read on for details. After the Bump is giving away: $600+ worth of newborn photography props and accessories from their store. Shoot Baby is giving away an Ottoman Posing Beanbag and a three pack of waterproof pads. $130 value. Rock the Drops is giving away a two 60×72″ poly backdrops and one 60×72″ dura floor backdrop. $450 value. 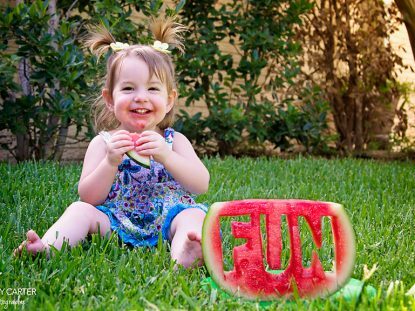 + Shipping from After the Bump and Rock the Drops is included anywhere in the United States; shipping from Shoot Baby is included anywhere in the world! If you are outside the United States, you may still enter, but will be asked to cover taxes and tariffs as required by law and shipping for the two vendors indicated. For seasoned newborn photographers: add a comment telling us your best piece of advice for photographing babies or editing images of newborns. For those who are fairly new to photographing newborns: list one question you have for a professional photographer who focuses on newborns. 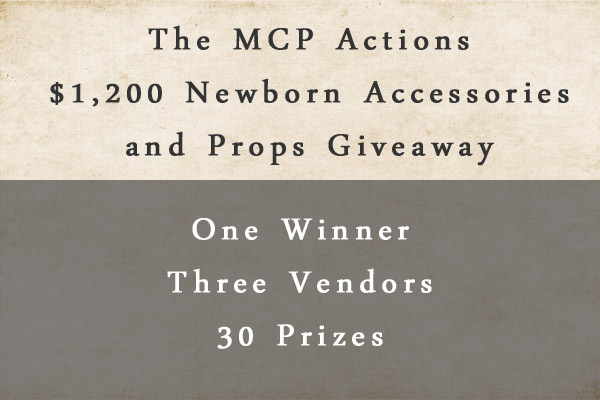 Spread the word about MCP Newborn Necessities Action Set and link to it at https://mcpactions.com/product/newborn-photoshop-actions/ (on Facebook, Twitter, Pinterest, Stumble Upon, etc). For each social networking site where you post about it, add a comment on this post telling us where you shared. Visit the three vendors on Facebook: After the Bump, Shoot Baby, and Rock the Drops. Leave a thank you note for them letting them know you are entering the MCP Actions Ultimate Newborn Photographer Prop Giveaway. Then come back and leave one entry comment saying that you visited all three. If you’ve bought MCP Newborn Necessities Photoshop Actions and/or the MCP It’s a Boy, It’s a Girl Birth Announcement Templates, add a comment and let us know that you did – earns you one more bonus entry. On our blog Sunday evening, 5/6/12. The winner will be selected by either random drawing – or – my twins may pick the winning number (also pretty much random). And I will add the winner’s name to the top of this post. Posted your link on FB! I’m new to newborn photography and my question would be: What is the best fail safe pose to use for a brand new little love bug? 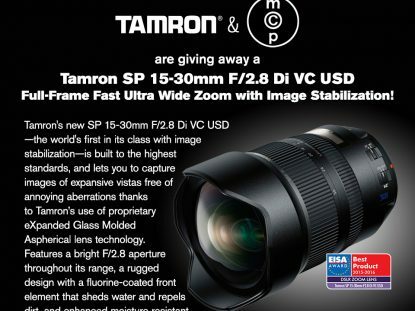 I just visited the FB sites of the awesome companies that are supporting this giveaway! I visited all three vendor sites, have already been using shoot baby products (love them) but definitely loving those ruffle bloomers over at after the bump too! My best advice when photographing newborns: keep plenty of warm milk on hand – whether by having the mom nurse the baby over and over again, or a warm bottle. My babies always look their best when they are warm and fed. I am fairly new to newborn photography focusing more on toddlers and preschoolers. I have a newborn session coming up and my question is – what do you do when they don’t want to go to sleep?! I’ve only done a handful of newborns and would love to get into newborns more. I have found the need of patience with the newborn and the mother. Calm and relaxed so the baby doesn’t sense the tension. My biggest question would be: What is suggested for lighting? I don’t want to bombard the baby with lights that will startle them each time they go off. I’ve read about using lighting from a window. I’ve bounced light off a ceiling, but sometimes that seems to not be enough. Should that be more of a concern in editing? My question is, How do you get the first time parents to stay calm and relaxed while you change poses and move around? When photo shooting a newborn session, as you finish the photo shoot are you absolutely confident that you have what you want? Are you ever satisfied with the outcome of the finals? What kind of lighting setup do you use to get such gorgeous light on the babies?? It’s always so perfect! How do you handle fussy babies who refuse to sleep? I don’t do alot of new born but most of my newborn clients come from past wedding clients. Best advice is to set aside at least a 2-3 hour block of time and have a heater because babies hate to be cold. Always try to photograph the baby when they are sleeping because an awake baby is usually a little on the cranky side. This is where the patience comes in.